Chris Yates is hosting T-SQL Tuesday #080 and asks us to come up with a SQL-related present such as the gift of knowledge. Rather than simply share some tidbit of information, why not teach folks to fish? Someone recently asked me how they could get started learning about SQL Server. Like many in technology, I’ve just learned things along the way, so I didn’t have an organized response. My first instinct of course was to Google “learn sql server”. I saw some of the usual online training suspects like Udemy, Lynda, and w3schools. Strangely, Pluralsight didn’t make the first page, despite several lessons by the prominent SQLskills crew. At the time, I missed what appears to be an excellent summary on becoming a DBA by John Sansom (@SQLBrit) and my advice ended up as a list of relevant SQL-related websites. I thought I’d expand on that here and perhaps evolve it as time allows. I find one of the assets of SQL Server is its community of professionals and PASS is the heart of that community. Through its local and virtual chapters, it “empower[s] data professionals who leverage Microsoft technologies”. If you have a local chapter– mine is PASSMN– you should join it immediately. Typically these user-run groups offer free food and training on a monthly basis. PASS Summit “is the world’s largest and most intensive technical training conference for Microsoft SQL Server and BI professionals.” It’s put on annually, usually in Seattle, WA in October. I’ve never been, but from what I understand it’s *the* event for SQL Server. If you can swing the travel and conference costs ($1800), you’ll be in for loads of learning and– perhaps more importantly, engaging in the community. If PASS is the heart of the community, then Twitter seems to be its veins. If you don’t have an account, make one. It’s easy and free. And it’s not just inane chatter; hundreds of SQL Server professionals have conversations and reference blog posts, news, and industry articles. SQL Server community member Brent Ozar has a Twitter guide for new users. Last but not least, everyone in IT turns to a search engine for help, and lately they all seem to point to the Stack Exchange network. And there’s even a Stack Exchange for Database Administrators. 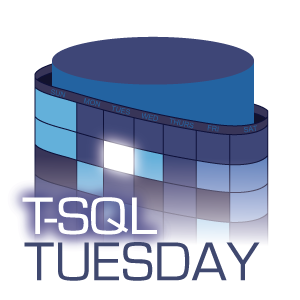 There is no end to the content produced by the community of SQL Server Database Professionals, which is evidenced by the close of another T-SQL Tuesday. This entry was posted in Tech Community and tagged #tsql2sday on 2016/07/12 by Riley Major.